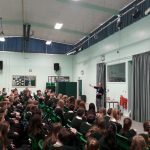 A series of visits, competitions and activities turned Hardenhuish School into a world of words when the fourth annual Hardenhuish Literature Festival took place last week. Three authors visited during the course of the week. 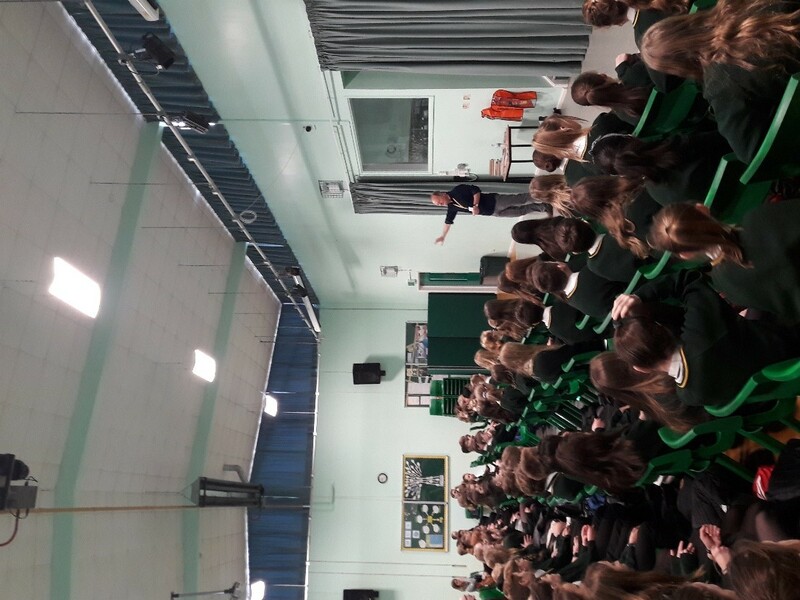 Local author Geoff Hill, who has recently published the fourth book in his ‘Viking Ghost’ series, visited on Tuesday to speak to Year 8 pupils. Mr Hill is a former teacher at St. Paul’s Primary School in Chippenham and so was known by many of the pupils. 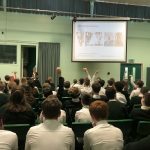 The Year 8s were captivated by tales of Viking warriors and witches in a talk full of horror and history – as well as a touch of humour! 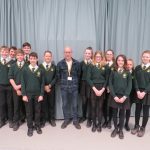 On Wednesday Steve Voake visited the school once again to talk to Year 7 about how to write stories. 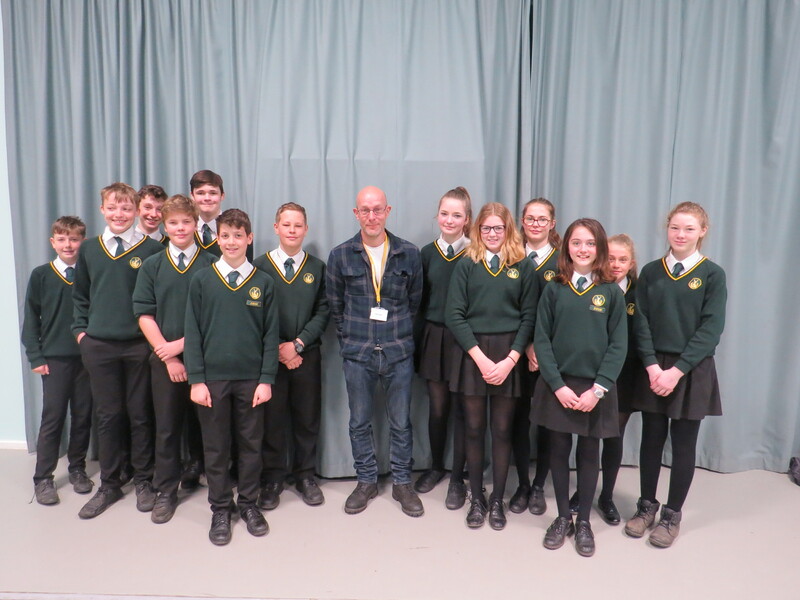 His best-known book, ‘The Dreamwalker’s Child’ has been a staple of many English departments’ book cupboards in recent years so it was a pleasure to welcome such a talented, successful and engaging author back to our school. 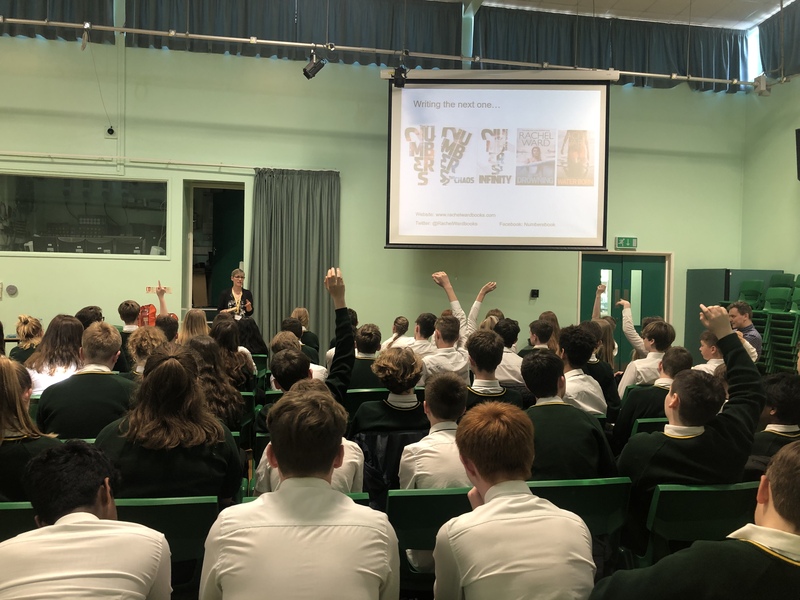 On Friday we welcomed acclaimed YA fiction author Rachel Ward to Hardenhuish for the first time. She spoke about the writing and publishing process, including the resilience needed to deal with criticism and rejection as a writer. She also read from her most popular book, ‘Numbers,’ and even held a ‘Meet & Greet’ in the Resources Centre during lunchtime. During the week, pupils also completed Quotation Quests around the school about the books that changed their teachers’ lives; they took part in creative writing competitions; pupils who were caught reading around the school site were entered into a prize draw; and the annual Carnegie Award Shadowing Group was launched with a group of Year 8 keen readers!